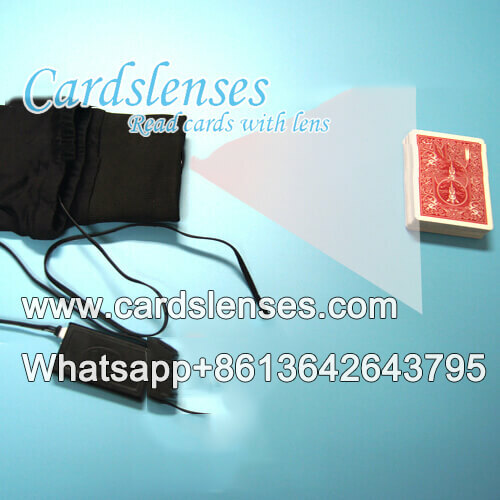 Poker camera is a magic device which can be used to scan the invisible ink barcode data on the sides of marked cards to help you know the poker game result. Here, we will introduce our newest type poker scanner for you - the one to one poker camera lens! This poker scanning camera has unique poker camera lenses inside, it needs to be worked with the special one to one barcode marked deck cards. The marked cards only can be detected by our appointed one to one playing cards scanning camera.